To keep things fresh, we've added 5 great slots from EGT and Netent! To keep things fresh, we’ve added 5 great slots from EGT and Netent! We’re back – and we’ve brought with us five additional games from the popular developers Netent and EGT! 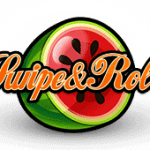 They include popular fruit themes from Joker Pro and Mega Joker, adorable animal themes from Wolf Cub and Coral Island, and comedic social media themes from Emoji Planet. For up to 100,000 coins in prizes, Joker Pro presents the 5-reel, 3-row and 10 fixed paylines lucky-symbols themed bitcoin slot from Netent that features the Hot Spot Win and Joker Pro Re-Spins! The top paying regular symbols include a diamond, lucky 7, bar, bell, horseshoe and green clover at the high to low paying range. The Joker Pro Re-Spins is activated with one or more scatter symbols that can land on the 2nd, 3rd or 4th reels, where the 1st and the 5th reels transform into expanded wilds to cover the entire reel. The scatter that triggered the feature transforms into a wild that becomes sticky. If another joker lands on the reels during the respin, another re-spin will be awarded. Also, the wild symbol can appear on the 2nd, 3rd or 4th reels on the Re-Spins. If three wild symbols land in the middle three reels, you can win 1,000x your bet with the Hot Spot Win. 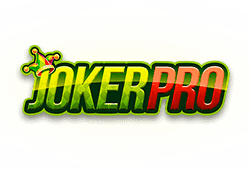 Play Joker Pro Bitcoin slot for free. Netent invites you to see a lighter side of the great white north in the adorable 5-reel, 3-row and 20 fixed paylines bitcoin slot Wolf Club with prizes reaching up to 400,000 coins! Set in a wintery northern wonderland within a forest carpeted in snow, Wolf Club includes a cute set of furry or feathery animals starting from the grey wolf cub, brown bear, majestic moose, golden leopard and feathery owl. The cub paw wild can appear on any reel during the main or free spins game replacing all symbols with the exception of the scatter symbol. 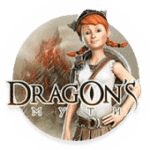 The symbol can form its own payline win of 100, 500 or 2,000 coins with 3, 4 or 5 symbols. The full moon scatter is a symbol that can also appear on any of the reels and 3 or more will unlock free spins. When triggered, reels containing a scatter will spin with a number revealed corresponding to the number of free spins granted and you can win up to 115. The slot also includes a Blizzard Feature triggered when one symbol lands fully stacked on the 1st reel. Instances of that same symbol on any of the other reels spread left towards the first reel creating winning paylines in their wake. 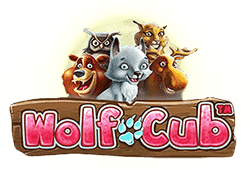 Play Wolf Cub Bitcoin slot for free. Mega Joker is the larger than life 3-reel, 3 row and up to 5 paylines bitcoin slot from Netent with a progressive jackpot up for grabs! 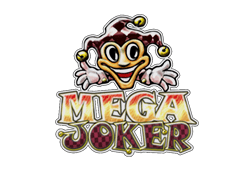 Mega Joker is chalk full of bright coloured symbols that include electrifying Jokers, lucky 7’s, bells, watermelons, plumbs, lemons, oranges and cherries. Three jokers on a bet line will reward you with a mystery win of between 10 and 200 coins. By playing with 10 coins, you can unlock all 5 paylines with the option of collecting your winnings after a round or playing in the Supermeter mode on wins of fewer than 2,000 coins. Three jokers will reward you with a mystery prize of between 20 and 400 coins. The maximum number of coins available to be won in Supermeter mode is 2,000 coins. Play Mega Joker Bitcoin slot for free. They’re pretty much everywhere on social media and Sony Pictures has even released a movie about them. 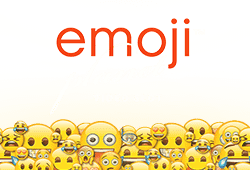 Now, Netent takes this theme to the next level in Emoji Planet which is a 5-reel, 5-row and cluster pays slots with up to 1,000,000 in coins to be won! The icons consist of emoji symbols so you will find a tears of laughter face, alien, poop, kiss mark, rocket ship, pepperoni pizza, round bomb and blue hearts. Emoji Planet uses the concept of cluster wins rather than conventional paylines where you win based on 5 or more of the same symbol clustered together. The Avalanche Feature is triggered after a normal payline win. Here the winning symbols explode into nothingness, with the spaces left behind filled by symbols falling from above for the chance to create additional wins. 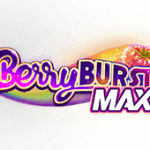 The feature will continue for free providing you continue to make additional winning combinations. In addition, the slot includes a wild symbol which will substitute for all other symbols. The Emoji Feature consists of 5 different Meters referred to as the Bomb, Pizza, Kiss Mark, Rocket and Two Hearts. Each Meter when filled by collecting 12 symbols will award you with unique methods of winning. Play Emoji Planet Bitcoin slot for free. EGT takes you to a watery world in their 5-reel, 3-row and 1 to 10 variable paylines slot that they’ve called Coral Island where you can uncover one of four progressive jackpots! In keeping with the water theme, the game includes some of the most beloved creatures that the sea has to offer such as a tortoise, starfish, seahorse, yellow fish and mixed school of fish. Not surprisingly, the feature symbols for this slot keep in the theme of the watery world and the first one is the dolphin wild that can substitute for the other symbols and form its own payline with 2, 3, 4 or 5 rewarding you with up to 200, 5,000, 50,000 or 200,000 coins respectively. The wild can also acts as a 2x multiplier when forming part of a winning line. The coral island scatter symbol can appear on any reel where 2, 3, 4 or 5 of them will reward you with up to 400, 1,000, 4,000 or 100,000 coins. 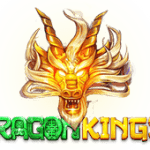 Get 3 or more on a spin to win 15 free spins with 3x multipliers and it is possible to re-trigger this feature to add on another 15 free games. For a chance to claim a little extra in prize money, you will also find a double or nothing red/black card gamble feature where you have a 50-50 shot on wins of less than 7,000 coins when you play with the maximum bet. 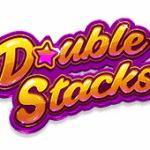 Finally, the big feature that you will find is the four level mystery jackpot that is randomly triggered to give you a chance at a four level mystery jackpot feature corresponding to 4 different progressive jackpots. 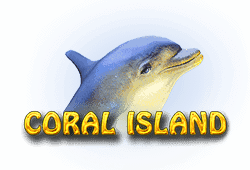 Play Coral Island Bitcoin slot for free.